In this post will use Custom system.img to gain root access on Android devices. Not only that can do Rooting against the Android Devices, but still much more to do, such as RootGenius (english), iRoot, KingRoot, MobileGo, Kingoroot, One Click Root, and SRSRoot, these tools are designed to perform several functions such as rooting, flash ROM, flash Kernel, Remove Ads in Apps, Booster Device, Uninstall Preinsstaled Apps, Remove bloatware, Unlock Screen, Download ROM and others. Now connect your Acer Liquid S2 (S520) to a computer using a USB cable. Download and extract S1_Root-v1.2.zip file on your computer. Then run this S1_Root.exe in the "S1_Root-v1.2". Finally, click "Launch". The flash process takes about 4 to 5 minutes. If you encounter an error message when launching the application, it is certainly that you lack the .NET Framework 4.0. DotNetFx40_Full_setup.exe use the file in the "S1_Root-v1.2" folder to install. Lastly, do not forget to install the application SuperSU from Play Store. 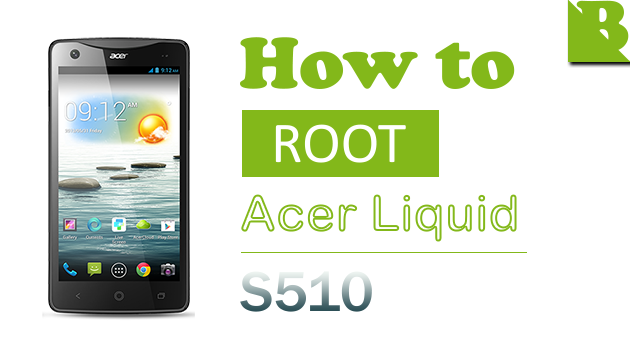 Optional: You can also verify whether you have successfully Rooted Acer Liquid S1 (S510) or not using the Root Checker app. 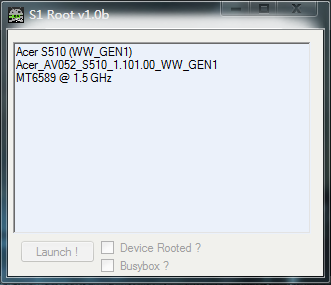 0 Response to "How To Root Acer Liquid S1 (S510)"